Independent Christian Spiritual Healing Sanctuary. The temple of light is situated in Ystradgynlais a small working class village at the foot of the gateway to the Brecon Beacon’s National Park. 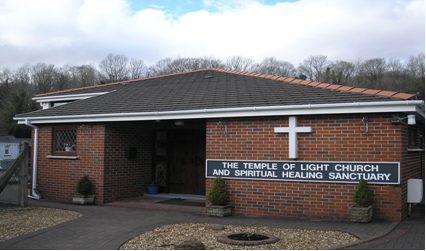 The temple opened its doors on the 14th April 1987 by the late Rev Marian Butler and her niece the Rev Gwenda Jones .Since then the Temple has offered Spiritual healing, Distance healing, Awakening classes, Philosophy classes ‘The Course in Miracles’ and Sunday weekly services including Healing Service and Holy Communion . The temple is licensed for Birth, Marriages and Deaths and is a registered charity. Copyright © 2019 Temple of Light. All Rights Reserved. The Magazine Basic Theme by bavotasan.com.